"Olmert turned to him as 'Dr. Abbas' but forgot to mention that he received his doctorate for Holocaust denial." Defense Minister Avigdor Liberman slammed former Prime Minister Ehud Olmert in an interview on Sunday with Army Radio following Olmert’s meeting with Palestinian Authority Chairman Mahmoud Abbas. "This is a pathetic event. Olmert turned to him as 'Dr. Abbas' but forgot to mention that he received his doctorate for Holocaust denial," Liberman said. The defense minister added, "The meeting was in vain. Even during the Obama period, Mahmoud Abbas did not agree to move forward even one meter. 25 years have passed since Oslo, there is no longer a chance to reach a solution." 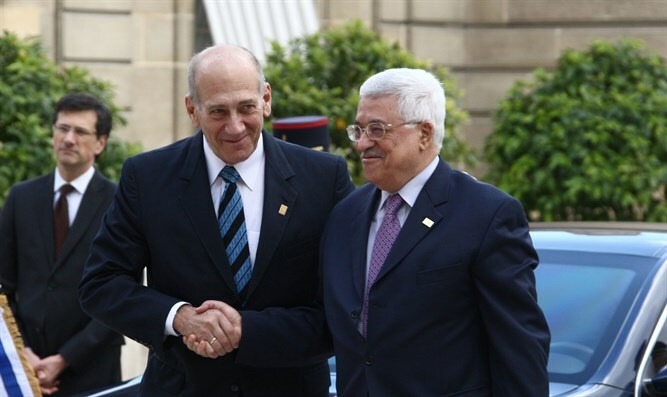 On the other hand, opposition leader Tzipi Livni expressed support for the decision of former fellow party member Olmert to meet with Abbas. "I myself meet the Palestinians from time to time, and I will do everything to convince Abbas to continue the security cooperation," Livni told Army Radio.